CATCH Canine Trainers Academy is a premier school for aspiring dog trainers, now accepting application submissions. If you’d like to learn more about how you can become a dog trainer on a professional level, read on. We offer a flexible program with hands-on training of dogs and an experienced mentor as your guide. You can launch a pro dog trainer career, studying in any state you choose. Hazel is giving me big kisses because she is so excited about the launch of CATCH Academy. CATCH Canine Trainers Academy is a new, modern study program for dog lovers who want to become Professional Dog Trainers. The CATCH dog trainer school includes dog behavior and training study, hands-on experience training dogs, professional mentor trainer guidance, and practice teaching clients. The curriculum offers a fascinating and flexible learning experience that you can have in your own town, on your own time. 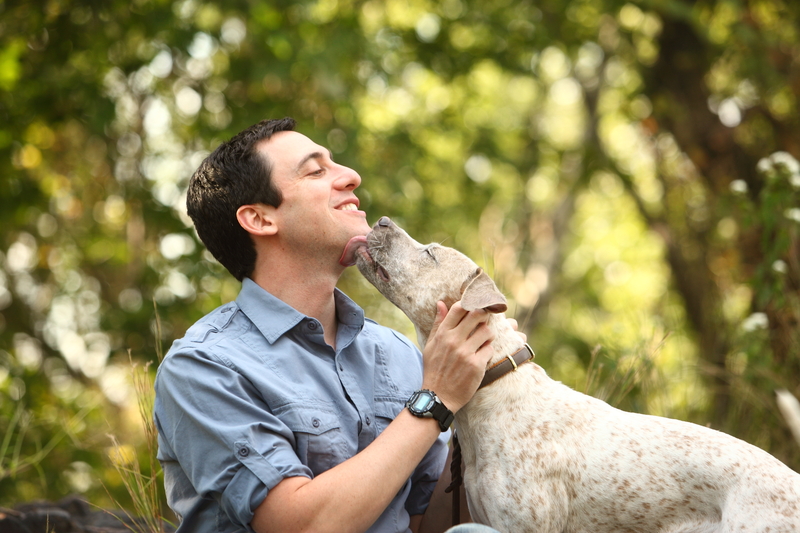 CATCH Academy ’s founder, David Muriello, Certified Professional Dog Trainer, was formerly the Director of Operations and Dog Training at Biscuits & Bath, New York City’s biggest dog care and training business with 8 Manhattan locations and growing. In addition to training thousands of dogs, David has hired and trained dozens of trainers and knows exactly what it takes for a dog lover to become a successful trainer. David has appeared as a dog expert on the Rachael Ray Show, in Dog Fancy Magazine, and for Petfinder and the Petco Foundation. As a student of CATCH, you will have your own personal dog training professor and advisor. Our #1 goal is to make you a success in this exciting and growing field. David appears on ABC-TV’s Rachael Ray Show to talk about which breeds are the best match for families with kids. I recommend to enroll your dogs for him/her to be trained.. It really helps a lot..